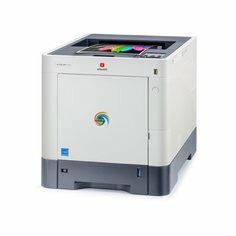 The d-Color P2130 A4 colour laser printer provides excellent productivity and quality and delivers very fast printouts in less than 7 seconds in black and white and 8 seconds in colour. It provides a maximum paper capacity of 2,100 sheets, can handle various weights (up to 220 g/m2) and formats, which can be loaded from a variety of sources (5 feeders: 1 by-pass and 4 trays *), and a printing speed of 30 pages per minute. 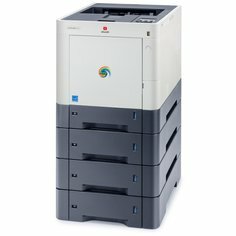 As a result of this flexibility, the d-Color P2130 is particularly suitable for small to medium-sized workgroups. The long life consumables, low noise and low TEC (Typical Electricity Consumption) levels provides users with eco-friendly printing with considerable savings in terms of running costs. * Base configuration with one tray and a max. of 3 optional trays.